Found below are the patch notes for this week. Players are invited to join us in the Flondor Goose Egg Event, try out the new Courser System, and we will be applying several minor bug fixes. This week’s patch is ~ “1.37” GB. Please note: the repeatable quest triggers a 24h cool down on completion. Big carpets (i.e. Halloween Carpet, Christmas Carpet) will now look more natural in residences. The pattern for combining ancient relics has been adjusted to an "X" shape. Now players can receive messages when a new horse is registered to the horse market. 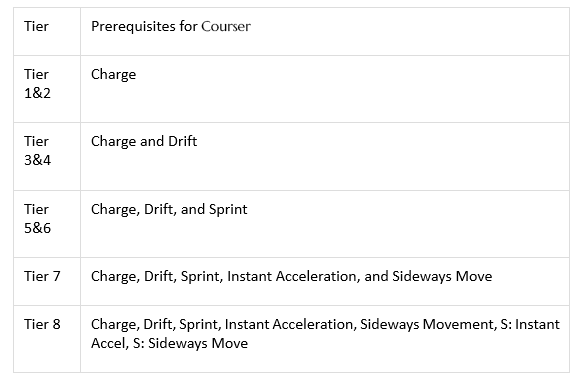 Tier 1 to 8 Horses that have acquired specific skills like Charge, Drift, etc. are categorized as Courser. - If a Coupon is available, Coupon’s icon, effect, and number of Coupons will be displayed on the bottom right (nothing will be on if there are no coupons). This is actually pretty funny. We have a refresh button guys!! What does it do? Nothing since you still got to switch between pages to refresh, but HEY! The button is there. You aren't supposed to update to make things less convenient. That's the opposite of what you are supposed to do. Still no warrior witch wizard nerfs? come on! In Game? better be finally!!!! Updates don't me things will be made more convenient, I think you're confused on what updates are supposed to do in an MMORPG. EDIT button is not released yet? Yes i was watching patch notes trying to change page and what i was see "you don't have permission to watch this page" they even delete post. Yeah, so how to do this? Unless my game is bugged, it's not letting me. They removed the bit about workers being able to do trading for one.